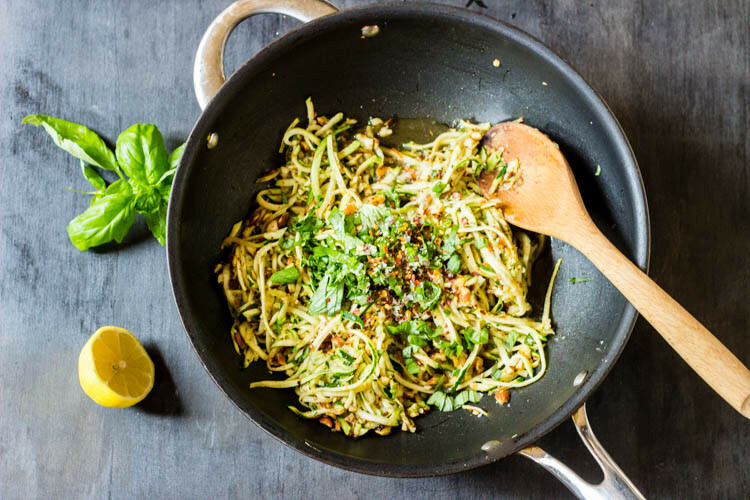 Have you ever tried to make zucchini pasta? 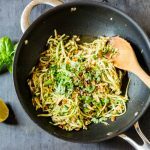 If you haven’t attempted to make zoodels yet, I encourage you to explore the world of spiralised veggies. So simple, low calorie, light, easy to make and super-versatile. Anna from Frankie’s Feast is the creative force behind this ever so simple recipe that requires very little time to prepare.